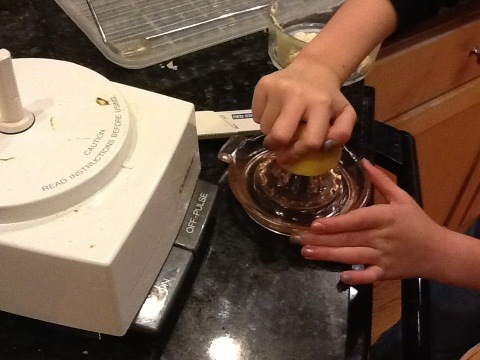 Since Day 15 was a Primal Fail except for my diet, Dora agreed to post a guest blog. 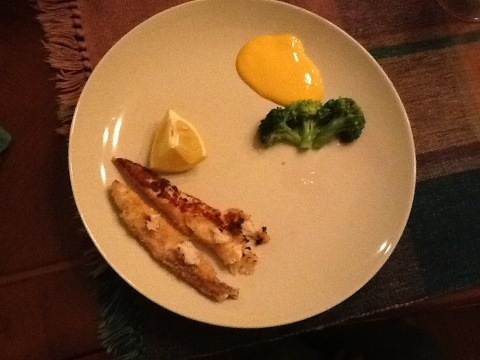 In my opinion, this is a very good recipe for fish sticks. 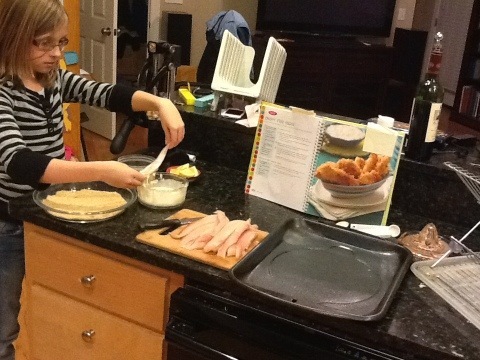 It’s from the Southern Living Kids Cookbook. 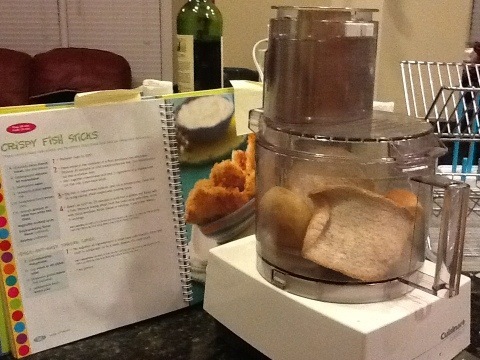 Place bread into food processor. We put stale bread in the freezer for this. 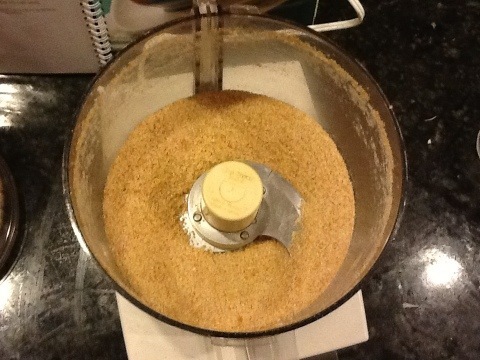 Process until bread crumbs are fine. 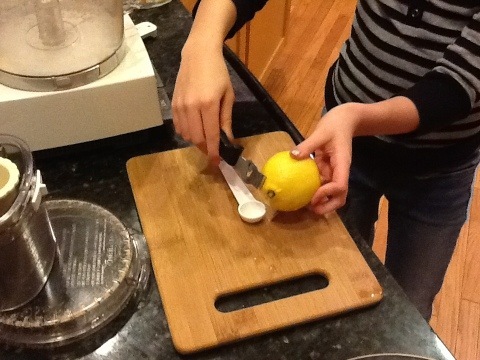 Use a lemon zester to get the lemon peel. Don’t use a carrot peeler. I tried that before and it didn’t work. This is a hand juicer from my great-grandmother. Mommy says it will get passed down to me. 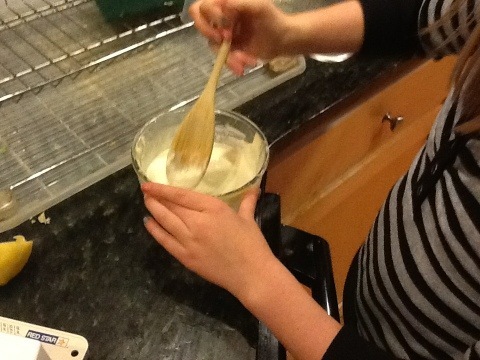 Stir together mayonnaise and next three ingredients into a shallow bowl. Cut fish into one inch thick strips. 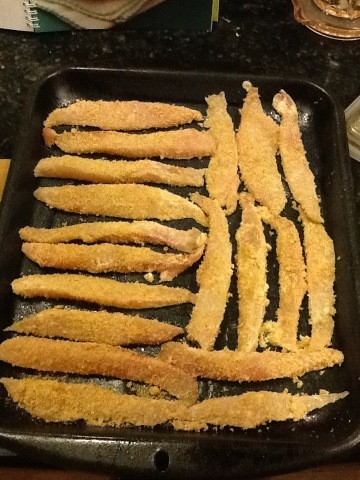 Dip fish into mayonnaise mixture and roll in breadcrumbs. Place fish on a roasting pan coated with cooking spray. Bake at 425 for 25min or until golden. 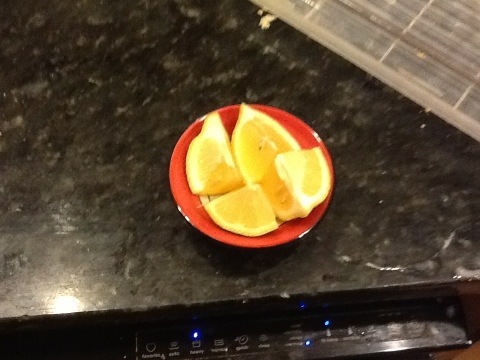 We cut up the other half of the lemon to squeeze on our fish sticks. Mommy can’t eat fishsticks anymore so she ate Almond & Parmesan Baked Tilapia. She used all butter obviously. Good job, number 2 child! You are turning into a fabulous cook. The fish sticks were really yummy, Dora. Thanks for making them. Enjoyed your first blog.